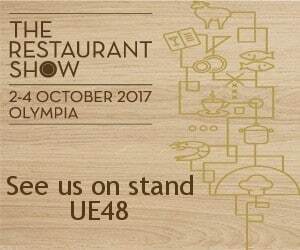 The Restaurant Show is held annually at Olympia in London. In it’s 30th year, it’s always a huge event with some of the country’s most high profile chef’s and restaurateurs in attendance, plenty of inspiring (and heated!) debates and over 400 exhibitors across Food Supplies, Catering, Equipment and Booking Systems. This could have been due to many different reasons, though the fact remains that very few marketing companies actually specialise in restaurants and venues and seem to operate across a variety of other sectors too like retail and professional services. We spent 15 years working in marketing across data, social and online before we worked with our first restaurant. We also spent 12 months researching the entire restaurant sector with a few test clients, alongside our existing marketing business before branching fully into the sector. That investment in time and exploration provided us with a fantastic understanding of all the different elements that we needed to deliver and work on for restaurants and venues. Right from the start we have continued to test out existing and new approaches in alien environments, to ensure we look at how things would work from your customer perspective. We also keep up to date with changes in technology along the way so your marketing is consistently future-proof. Stats show we retain over 90% of our customers beyond the first year (and at that point, that’s on a rolling month to month contract!) so we are able to assist new clients from the start and pass on our expertise and knowledge. So what is marketing all about and what is next? The Restaurant Show was very busy and allowed our team to ensure we were keeping up to date with the latest developments & trends, whilst spending most of our time talking to owners, chefs and investors about their restaurants and venues and how we work with clients to keep well ahead of their competition – which is what it is all about really. So, what changes are coming up and how can we help you to get there first? Well…….give us a call to chat about your venue and you’ll find out! !